Recycling Works: Are Spray Paint Cans Recyclable? Since its birth in the 1950s, the spray paint industry has enjoyed considerable success but has also met with many challenges. In the late 1970s, legislators banned paints from using chlorofluorocarbon propellants (CFCs) due to the role these solvents are though to play in atmospheric ozone depletion. In the late 1990s, the California Air Resource Board (CARB) began imposing limits on the amount of Volatile Organic Compounds (VOCs) that can be used in spray paint. VOCs have been shown to contribute to air pollution. These regulatory mandates have dramatically affected the quality of spray paint formulations. In spite of these challenges, spray paints continue to be popular consumer commodities. In 1997 nearly 25 million gal (94 million 1) of spray paint where produced in the United States alone. Spray paint cans are usually made of a tin-plated or steel material. Along with these materials, plastic components are included in the form of a dip tube and a trigger-type nozzle, an agitator, which is possibly glass or steel, and a valve. Although some of these materials alone are recyclable, the mixture of them constitutes a product that is generally considered household hazardous waste by conventional standards. Single stream recycling, as a general rule, requests that the materials be rinsed clean of food and debris. 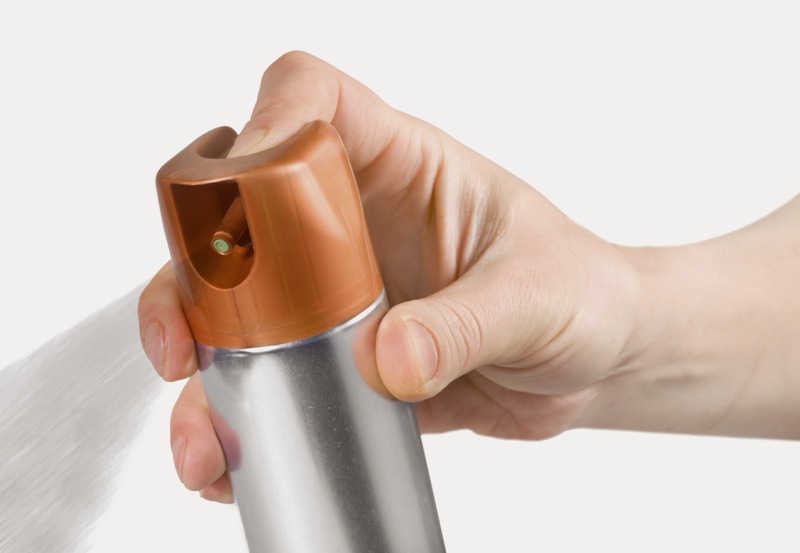 Since spray paint cans are an enclosed item, it is virtually impossible to rinse the excess paint from the inside of the can. Once an aerosol can is processed by a Household Hazardous Waste facility, some of the components of the can are able to be recycled. For more information on recyclable materials and household hazardous waste visit www.wasteawaygroup.com.